Russian President Vladimir Putin, left, and his Turkish counterpart Recep Tayyip Erdogan shake hands after a joint news conference at the new Presidential Palace in Ankara, December 1, 2014. Turkish President Recep Tayyip Erdogan has apologized to Russian President Vladimir Putin over the shooting down of a Russian Su-24 bomber in the skies over Syria, the president's Press Secretary Dmitry Peskov said. According to experts, Erdogan took such a step due to the deterioration in relations with the EU over refugees and the economic consequences of the breakdown in relations with Moscow. Erdogan's letter to Putin, which the Kremlin announced on June 27, 2016, expresses regret over the Russian Su-24 bomber downed in Syria at the end of November 2015. “After the Su-24 incident, Turkey tried in its foreign policy to find allies on this issue by playing on the contradictions between the European Union and Russia,” Alexei Arbatov, head of the International Security Center at the Institute of World Economy and International Relations at the Russian Academy of Sciences, said in an interview with RBTH. According to him, the economic and political situation in the country has forced Ankara to change its position with the financial crisis and rupture of relations with Moscow having an extremely negative impact on the country's budget. "This was compounded by the refugee situation: the need to contain the flow of migrants to Europe, the issue of compensation to Ankara [for refugees], the exit of the UK from the EU, which is associated exactly with the flow of migrants and the reluctance to accept Ankara into the European family, and, as a consequence of all this – discord in relations with Brussels,” Arbatov said. The resumption of relations with Russia will strengthen security in the region and solve a number of pressing challenges that Turkey faces today, says Turkish political scientist and journalist Hakan Aksay. In the past six months, Turkey has experienced a series of terrorist attacks by Kurdistan Workers Party militants, as well as numerous allegations of violations of human rights and the rights of sexual minorities in the country. "In this regard, Erdogan decided to smooth over the situation at least on one of the fronts and apologized in the hope that soon it would be possible to resume joint projects with Moscow," Aksay said. According to Arbatov, these projects include the resumption of tourism, the lifting of sanctions on agricultural exports, the continuation of the construction of a nuclear power plant in southern Turkey worth more than $20 billion, as well as the Turkish Stream gas pipeline project. 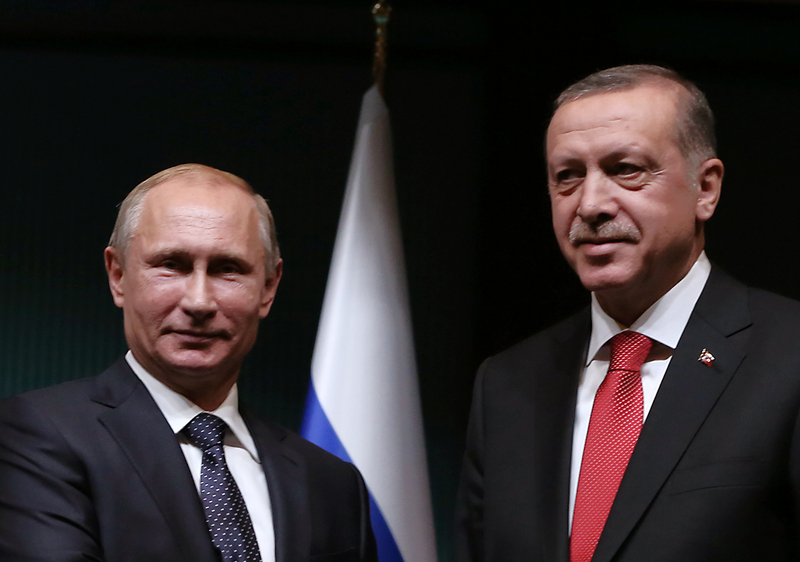 “Russia will pause for a while – it will not rush to embrace Turkey,” Arbatov said. "A gradual step-by-step easing of the confrontation with Turkey will begin." The Turkish leader's letter of apology to Putin is a political victory for Moscow and the countries that want to cooperate with Russia, Sergey Karaganov, dean of the World Politics and Economy Department at the Higher School of Economics in Moscow, said. "The feud between the two countries was damaging to the Middle East and the reconstruction process in the region," Karaganov said. "The decision on reconciliation with Moscow has been evolving and debated in the Turkish leadership for a long time. The confrontation on the issue, in which Turkey is inherently wrong, is in no one's interest." An important role in the normalization of relations between the two countries was given to Israel, Hasan Oktay, head of the Turkish Center for Strategic Studies of the Caucasus, said. "The visit of Israeli Prime Minister Benjamin Netanyahu to Moscow can be considered the starting point for the normalization of relations between the two countries," Oktay said. "Now Ankara should start negotiations with the Russian side on the compensation to the families of the victims, just as Turkey has agreed with Israel. The normalization of relations both with Russia and Israel is essential for peace and stability in the region."